Another celebration! 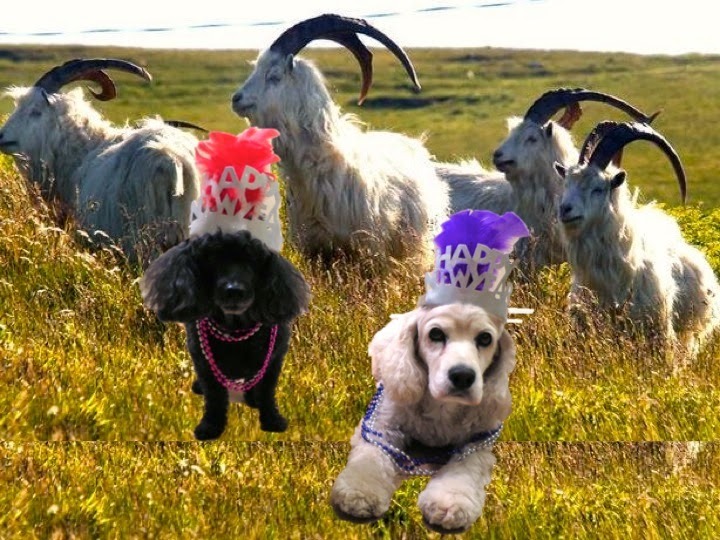 This time it is the Chinese New Year -- the Year of the Goat. People born in a Goat year are calm and gentle. (doesn't sound like I was born in a Goat year). Happy New Year to all those that celebrate - from me in Mandarin: “Xin Nian Kuai Le” and Annie barks “San Nin Faai Lok” in Cantonese. Rosy you guys are so smart! I have no idea how to speak Chinese! My sisfur is Himalayan. I wonder if she knows other languages? Happy Chinese New Year to you guys!